Shopping for Pirates Action Figures? 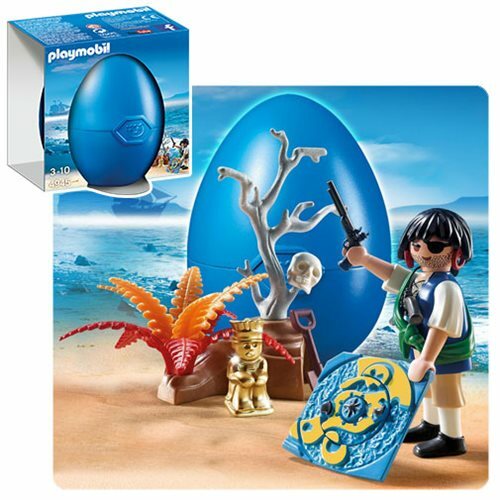 Twist open the giant blue egg to discover a swashbuckling pirate with his treasure map, gold statue, shovel, skull, and more. Store all the pieces inside of the egg or use it as a children's bank thanks to the coin slot in the bottom.